Former GE vice chair Beth Comstock discusses her career with Wharton's Michael Useem and Knowledge@Wharton. Challenges continue to multiply at General Electric (GE), the iconic company that Thomas Edison founded in 1892. At the end of October, Larry Culp, who recently took over as CEO, decided to cut the quarterly dividend from 12 cents a share to a penny a share. As the news spread, GE’s stock price fell to a nine-year low of less than $10 for the first time since the financial crisis a decade ago. Media reports indicate that the Justice Department and the Securities and Exchange Commission are looking into GE’s accounting practices. Michael Useem: Tell us what attracted you to GE. I believe you had an offer from Steve Jobs to leave GE and you passed on that. Why? 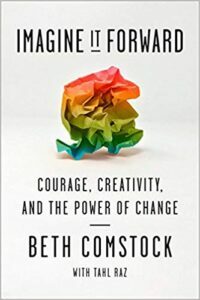 Beth Comstock: I was at NBC, thinking my future was going to be media, and … I got a call one day from [then GE CEO] Jack Welch saying, “Hey, come up and see me.” I went up to see him at the office at NBC, and he said he would like me to come work at GE [which owned NBC at the time]. He was in the early days of his succession and looking for someone to come in and lead communications and advertising. It was the farthest thing from my mind. I did not imagine my future at GE. I don’t really know why I said yes, to be honest. I would say Jack makes a pretty persuasive offer, but I was curious about GE. It was a big platform, it was a big company, it was a way for me to learn and see a side of business that I hadn’t seen through media. I was just incredibly intrigued and curious. At the time, Jack wasn’t the Jack Welch he became, but it was an amazing time. It seemed like it would be an amazing time at the company in the transition that was ahead. I ended up having a great run and a great career there. I had said no because it wasn’t the right job for me. A few months later, he called me again and said, “Hey, there is this other job that I was thinking about. Could you come out and talk about it?” And I did. He made it really intriguing. At the same time, it just didn’t seem like the right job for me, so I ultimately said no. I put it in the book because it’s one of those moments where I knew I had a good reason for saying no. The strategy was sound, but I did regret it at times. He and Apple went on to become this incredible company. I regretted the chance not to make myself better, and of course I regretted those stock options that I never thought were going to go anywhere, or at least were never going to go as big as they have gone. Useem: Instead of buyer’s remorse, you had decliner’s remorse. Comstock: It was a mixed bag because I had all of the reasons to leave at that time because I was in a tough spot at NBC. It was a really tough job. But [the job at Apple] just didn’t seem like the right thing for me. There are also those moments … in your career [where you think you] could have, should have, would have — and I frequently went back to that, especially when I had a tough time or the Apple stock did really well. But again, I came back to saying that wasn’t the job that I really wanted to take. Useem: Let’s get to the heart of the book, which is about the challenge of changing anything, especially for a century-old company such as GE. When a company has a good run, people think, “We’ve got a great model. Don’t foul it up. Don’t tell us to change anything because we are doing extremely well now.” You write about working with that kind of mindset. Walk us through the barriers you experienced. Comstock: When I came into GE, the performance culture was incredibly strong. I came in on the height of the Six Sigma revolution that had really transformed the quality, the focus. Everyone in GE had to do Six Sigma. I remember doing it at NBC, [thinking] why are we doing this? But everybody had to be immersed in it. Six Sigma was a quality program about eradicating defects in the manufacturing process. It became a bit of a management creed at GE at the time. It had a lot of good with it, but as I started to grow in GE, Jeff Immelt took over and the world was changing dramatically. It was just after 9/11 happened. Growth was somewhat elusive in the future, and you had to go much more globally to find it. You had to go into new markets. In many ways, the growth that had to happen was in areas where we weren’t that strong, where the old management principles of be No. 1 and No. 2, do it with precision, no longer worked. It was a time of a renewed effort to grow from within, to be much more global. And it was just at that time when what got you there wasn’t necessarily what was going to get you ahead. Useem: We’ve got to break the egg to cook the egg. How did you go about making the case that — for example, we’ve got to be more market focused, more digital? Comstock: A lot of it started with vision. Jeff Immelt had taken over as CEO, and he tried to continue the core operations but also make room for the future and encourage people like me. From a marketing perspective, he resurrected marketing. I was the first chief marketing officer in 20 years. It was about market-backed innovation. It was about seeing where change was happening and understanding what problem are we trying to solve in the market. That was the journey we went on. When you say that marketing is about living in the market, suddenly you start to see the trends, you see the patterns, you see where clean tech is emerging, you see customers that want it. From there you see the digitization of media, and the digitization of media leads you to the digitization of industry. I think that was the fundamental shift that I was a part of, that ability to get outside the company, open it up to partners, to new ways of seeing the world. Useem: Here is a thesis implicit in what you have said. You write in the book that Jack Welch didn’t ask a whole lot of questions because he knew the answers. He was a person who was very confident about where he was going. I infer that Jeff Immelt was a question-asker and a driver for change. You were at the tip of that spear, but you had top-level support coming from the office of the CEO. Would you agree? Comstock: Jeff drove a lot of that, absolutely. He believed in that and put people like me in that role. I would say Jeff was somewhat conflicted. If you are a leader of a company, you have to do both of those things, right? The core performance engine — the quarterly earnings, the reliability that you have … vetted the business model — and [the need to] incubate and push for the new. I think even Jeff as a leader had to balance that tension in his own head. Yes, he did ask new kinds of questions, but he also grew up in GE and had a lot of confidence in the systems that he knew. I think all of us did, and those were some of the challenges we were trying to overcome. I will give you an example. When we were in the clean tech space and trying to grow a new model of energy storage, it was quite easy to say, “This is exactly like how we used to run plastics. Let’s build a big factory; build it and they will come.” It turned out to not be the right thing to do in the clean tech space. What would have been better for us would have been to have a small test-and-learn factory, get a good customer model, validate the business model, then scale from there. We learned, but that is some of the tension that happens in companies. You take what you know in the past, and you try to apply it to … the future. It didn’t work. We had to write that business off. Useem: You’ve got a five-factor framework for thinking about change. I like the wording on one in particular: agitated inquiry. Can you give us an example? If I am running the division that manufactures and sells medical equipment, and you come to me and you say, “Look, Mike, you’ve got to get more into agitated inquiry,” what does that mean? Comstock: I think it is two things. It is about getting a heated debate and discussion going, so the inquiry part. And the agitated [part] is conflict. You don’t always like people asking what problem are you trying to solve, tell me something I don’t want to hear, what’s wrong with this, let’s beat this up. It’s this deliberate process of bringing in sparks from the outside who provoke and challenge and say you know too much, you are not open to learning something new. In the case of clean tech, a lot of people thought centralized energy generation from fossil fuels was the only way the future was going to unfold. We needed provocateurs from the outside to say that wind, solar, storage are taking off, and here’s why. That’s a bit of the agitated inquiry. You need to create what I call challenger brands. These are people who challenge the status quo. We did that at NBC with Hulu. [We decided] to bring a Young Turk in — [former Hulu CEO] Jason Kilar — to seed and start Hulu and challenge the traditional way of doing television. That is agitated inquiry. No one liked it, except maybe Jason and those of us who were trying to seed it. Useem: We spent a couple of hours at Crotonville, the site of the famous training facility for GE that goes back many years and has been a model for other companies on leadership and management development. You’ve got a session there on agitated inquiry. How do you teach it? Comstock: The first thing I would do is set up kind of a debate. I would go back to high school debate team. It’s been documented out of military practices — we adopted that. [It’s] the idea that you are going to take the pro side, you are going to take the con side, and you are going to do your research, and often assigning people who had a point of view to take the opposite point of view. We are going to facilitate that agitation. We are going to beat up the idea. Out of that will come some scenarios: optimistic, a positive, a medium, and a negative. And we’re going to debate those a bit. You are creating a facilitated way for debate. I think the second thing is, ask people to ask different questions, especially in the early stages of an idea. You can’t ask when are you going to be profitable, because you don’t know. What’s your hypothesis? That’s a good starting point. When are you going to know if it’s proven? You are teaching people to ask different questions, to allocate budgets differently so they can carve off money to test and learn and experiment and make room to do some of these challenge efforts. Useem: When it comes to good ideas that work well in one company, sometimes they are exportable and sometimes not. Continuous improvement — Toyota had mastered that many decades ago. Companies all over the world now have learned how to be continuous improvers. Same for Six Sigma, which was developed elsewhere but adapted and adopted by GE. Do you think agitated inquiry, and these four other pieces of the model, can be exported? Comstock: I actually think we do too much of that in business, where we take a framework that has worked at some other company and try to apply it exactly. I came up with the framework as a series of prompts to say, “Here are some questions to ask yourself, some ways to challenge your mindset. But you have to adapt it to the way you work.” I think you have to use these as prompts. It’s about critical thinking, about using your own judgment. I really caution against taking a blueprint that maybe worked at Nike and saying it is going to work for you, because it is a very different company. The context is very different. Useem: Your fourth factor is story craft. Tell us how we would exercise that? Comstock: [Telling a] Story is too often what business people think we do at the end. To me, it’s where you start. Story is your strategy; strategy is your story. Can you tell your vision: Where are we going, and why is it relevant? That is the simple message. 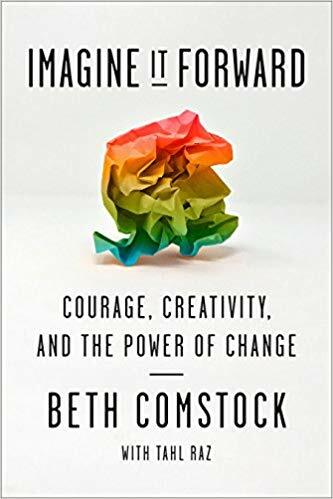 Too often, we start with the logical outcomes, the financial outcome, and we forget that there is an emotional piece of it; there is an imagination piece that is about the vision. It is weaving those pieces together to say, where are we going, why does it matter to me, what is the promising outcome I am going to get? Where are you coming from so that I [believe] that you are going to be able to do what you are saying? I think anyone can master the art of story — it’s what makes us human — but we don’t invest enough in it. I am trying to make a case for some practices you can develop. Simple questions. Maybe just challenge people to ask, what is your story? Someone gets on an elevator with you, Mike, and you go, “What’s your story?” They probably freeze because we don’t ask people that often enough. Useem: I like your optimism about the human condition. If we think about storytelling or agitated questioning, we can become better at that. To turn that back on you and the account in the book, which is at many points very personal, you describe yourself in your early years as an introvert. You were once called into Jeff Immelt’s office, and he said, “Beth, I want you to be more confident.” How did you become less introverted and more confident in that public sense? Comstock: I think confidence comes after experience, for sure. Frankly, the more you try things, the more you realize you can actually do this. It was a series of just trying things and seeing what worked and didn’t. I am still an introvert. To me, it is that sense of just needing to conserve energy. But I also was somewhat reserved and shy, and I realized that was standing in my way. I wasn’t the one putting the ideas out forcefully. I wasn’t asking questions. I missed opportunities to connect with people. While introversion might be good — I might be a good observer and listener — it was also holding me back. I had to fix that. I gave myself a series of small challenges, really behavior shifts — I am going to take small, deliberate steps to make that happen. I am going to ask a question here. I am going to participate in this meeting. I am going to go meet somebody at this networking event. When Jeff said I needed to be more confident, I wasn’t showing up enough, I had to adapt that. I then had to show up in a meeting and make sure I had prepared a question, that I was able to challenge somebody who had a perspective that I might have a point of view on, and do it with my strength. Useem: How did you know when you achieved what you wanted in pushing the company to be more market driven, more innovative, more digital? What would be a typical metric to know if things had moved in the right direction? Comstock: Customer satisfaction would have been one. I think share of wallet would have been another one, where you are seeing the same customers buy more from you because you are able to adapt and offer applications and products that they previously didn’t know that you understood that they wanted. As we got more into innovation, new revenue from new sources would have been something we would have asked for. I think just the quicker speed to adoption of new products meant that they were simpler to use; the user experience was more clearly defined. I think growth from new markets is another metric. Knowledge@Wharton: You worked with Jack Welch and also Jeff Immelt. What were some of the differences between the two as leaders, and how did you view their strengths and weaknesses? Comstock: Jack was incredibly bold. Jeff was bold. They were both bold in different ways. Jack really used financial services as a way to scale the company up, and that was a model that worked until it didn’t. The financial crisis called that into question. Jack really believed in the investment in people, seeded a lot of the people development at GE, was very intense and focused. But think of the company at the time. It was a very hierarchical leadership; it was very much command and control. That was the business world that we lived in at the time. Jeff Immelt comes in and overnight 9/11 happened and sort of called into question a lot about the global nature of the world. Jeff was a much more market-focused, customer-focused CEO. He was much more distributed in how he saw the networks and partnership opportunities, and I think needed a more distributed leadership team to be able to do some of that. But maybe the conglomerate structure made it more difficult to do that. But both were bold. Both invested in people, but did it in very different ways. Knowledge@Wharton: There was a story in Fortune about the fact that if you look at the performance during the 20 years that Jack Welch was the CEO, the stock went up by about 2,700%, and at a time when the S&P 500 went up 700%. If you were to take the 17 years of Jeff Immelt’s tenure as CEO, the stock actually went down 30%. What are some of the decisions that you, as part of the leadership team, made that led to GE losing about $150 billion in market capitalization during the second phase? Comstock: If you were to take that arc and look back, I think the run up that you talked about in the Welch era only happened in the last part of his tenure. There was a lot of volatility very early in his run. You look even back into the 1970s, and there was very flat GE performance. So, I think in the arc of a company, you can’t just look at one period of time. There was a huge run up to scale. Is it possible to keep growth on growth like that forever? I think one of the issues with GE was the conglomerate model that perhaps fell out of favor, looking at GE Capital in a world where maybe that was not a competitive advantage anymore. Those things had to be cleaned up. I ask a broader question as I think about it from a business perspective. Do businesses at a certain size and scale get reset moments? Could GE have had a bigger reset moment? Maybe they’re having one now that is overdue. Would the public markets have let GE have a reset moment? Should the leadership have taken a reset moment? I certainly know in the generation of GE that I was part of, it was definitely a vigorous approach to find new growth, to return to some of the core basics of manufacturing, high focus technology to really simplify the portfolio. That was seemingly what was needed at the time. History, I guess, will judge if those were the right things. Useem: You mentioned that the era of the conglomerate is over. But two of the arguments that GE historically made about the value of the diversified set of companies under the same umbrella is, No. 1, it was a leadership engine. It could create talent that others couldn’t, and it could assign talent across those divisions. It was like an internal labor market that was very well-defined and very well-controlled. No. 2, divisions or companies in very different industries would sometimes share their research, their ideas or scientific innovations. Do you think both of those became less of a competitive advantage that helped define the Jack Welch era, but in a reverse sense undermined the Jeff Immelt era? Comstock: I certainly think the scale and complexity made the Jeff Immelt era challenging. But I was always a big fan of the centralized R&D in a focused way. If anything, I think maybe we could have done more to tell the value of that from an investor perspective because I saw it firsthand. Take 3D printing, the ability to seed it in an aviation business and then move it to power and move it to a real business. It really was quite profound, and the speed and capabilities really did create a competitive advantage. I saw it, I know it, I believe it. To the other point about the leadership factory, I think that works if the businesses are always going to be run the same way. But suddenly you are in a world where growth is in a different way, the growth is not happening from the markets where you were before. What are your choices? You are going to keep acquiring the growth, which is not a sure thing, or you are going to try to grow in the markets where you already are, and it requires a different kind of mindset. It is OK to say that you are going to be No. 1 or No. 2 in a market. But what often happens is you narrow the opportunity of that market, and to grow you might have to be No. 4, 5 or 6 to get to No. 1. And that requires a different kind of management mindset. Knowledge@Wharton: One thing that struck me, and there is a reference to it in your book, is the 2015 acquisition of Alstom, the French gas turbine company. I think it was acquired for $10 billion, and Jeff Immelt and John Flannery [who succeeded him as CEO] both played a very active role in the acquisition. In October, there was a $23 billion write-off, much of it attributable to the Alstom acquisition. What are some of the lessons that can be learned, to your earlier point, that acquisitions are not always a sure thing? Comstock: I was always so focused on the clean tech piece, and I remember in the early days the investors had no time for that. Our eco-imagination effort seemed silly or frivolous. Yet 15 years later, [they’re asking] why aren’t you bigger in solar, why aren’t you bigger in renewable energy? That has been one of the criticisms. I think it is just always tension in getting the short- and the long-term right. To remind everybody of what happened, the decision was made after the financial crisis, in the new regulatory environment, that GE Capital no longer worked for GE. Get out of GE Capital. Yet from an investor and from a running-the-company perspective, that created a huge gap to fill in terms of earnings, cash, other things that needed to happen. The quick answer is to shore up an installed base of energy products that are going to be more accretive in the short term while the long term is trying to catch up. I think you could understand why that [decision] would be made. I think the debate for business schools and others would play that out. Would you have been better to take that money and invest in digitization, in clean tech? Would the market have allowed you to do that? Put yourself in that CEO’s job. Not everybody in the company thought that was a good deal, but you could also understand why you had to do it. If you are Jeff and you are John Flannery, you’ve got people like me saying, “Yeah, more solar.” Yeah, but how do I make money doing that? You’ve got this installed base that you know [can already] make money, that can buy us some time while we figure this out. I think you have to put yourself in their shoes somehow. Knowledge@Wharton: I can understand why it might have been so compelling to do it. What I am trying to understand is why it didn’t work, and what lessons can we learn from that? Comstock: I think you are declaring it hasn’t worked based on the point in time right now. They had to write off some of it — the valuation wasn’t there. I haven’t been in the company, so it’s hard for me to say what the justification was for the write-off. But I certainly know that they felt the strategy, the rationale is that the market dynamic changed much faster. The rise of solar and some of the other factors have been much faster than a lot of people in traditional energy business anticipated. In some ways, I think that is what a lot of us are trying to rally for. You need to be in the market, understanding and adapting to the pace of change. Some of those models perhaps might have allowed for a longer term for these things to play out, yet the nature and pace of change is faster. That would be one answer. Useem: John Flannery ran GE for a little more than a year, and now Larry Culp, former head of Danaher, is CEO. [Imagine] Larry called you in and said, “Beth you’ve written a whole book on the topic of how we get change going here at GE.” Just looking back on your time at GE and what you said in your book, what would be your most value-adding advice to Larry Culp? He is looking forward with enormous pressure to get it right in the months ahead. Comstock: Enormous pressure. I actually think it is probably a good thing that an outsider is coming in and bringing in an outside perspective. I am a big believer in bringing outside perspectives. I would encourage him to keep that fresh perspective. What is his vision? We need to give him a little bit of time, but he has been pretty clear that he has a thesis and a vision for the company. He’s got to recognize there are some strengths in the company. It’s a really good company; it still makes things that the world needs. You can’t discount that there are good things about the company. What is his plan? The future of manufacturing, digitization, clean tech. Then what is the focus on the near-term challenges, the cash challenges that have to happen? A lot was sold off with GE Capital, but you sell off the good stuff first and you’re left with a lot of things that are harder to sell off. In some ways, the job is hard — to clean up the things that are an ongoing part of cleaning up. Smart people tried to do that, so he is going to have to continue that path of simplification and figuring out what is going make sense. He’s got to shore up the now and continue to give us a vision for the future, and there is a lot to work with. Useem: What is next for you, building on what you’ve done? Comstock: I have been focused this year on getting the book out. I wrote it for a couple of reasons. One, I wanted to chronicle the innovator’s journey in a big company. It is not easy, and I wanted to chronicle the struggle. I feel people at early to mid-career need some encouragement, so I wanted to do that. I am going to re-enter business in a much different way. I am going to try to take some of the advice in my book. I am going to get out, give myself permission to try new things, discover, figure out what my story is. Probably beat some ideas, be beaten up in the process. But I like to begin again, so I am going to be looking for places where I can come in and start over again in a business context. Dow(n) and Out: Can General Electric Reclaim Its Legacy? Yesterday’s bellwether brands, like GE, are struggling to survive. To bring good things back to life, today’s leaders must change how they think about legacy, note the authors of this opinion piece.